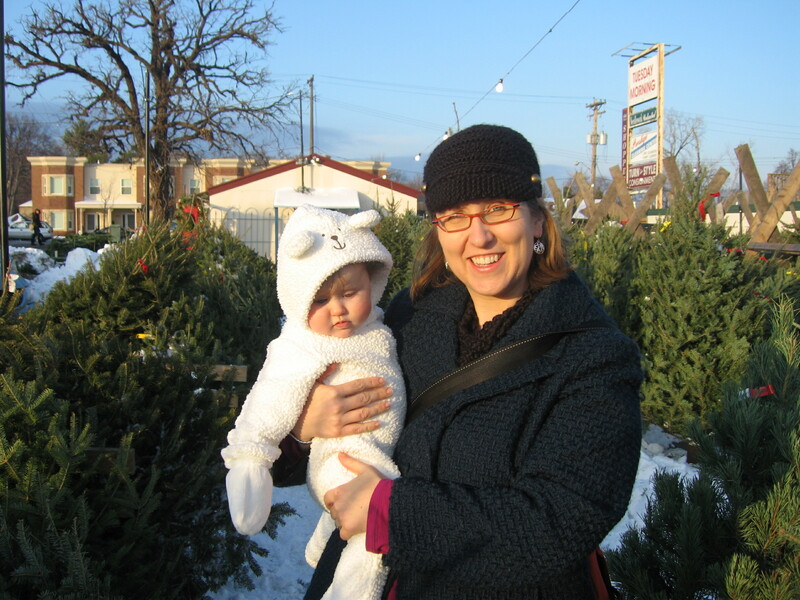 On Saturday, Evelyn got her Christmas on big-time. 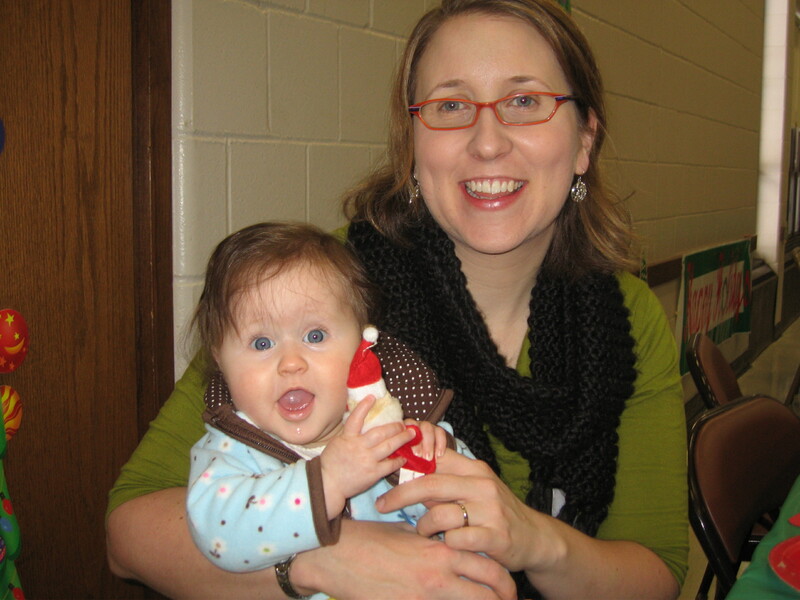 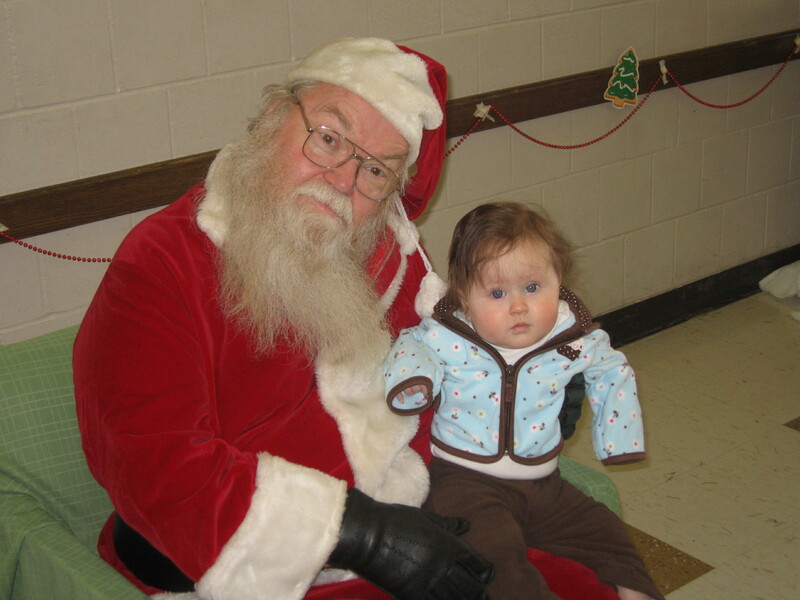 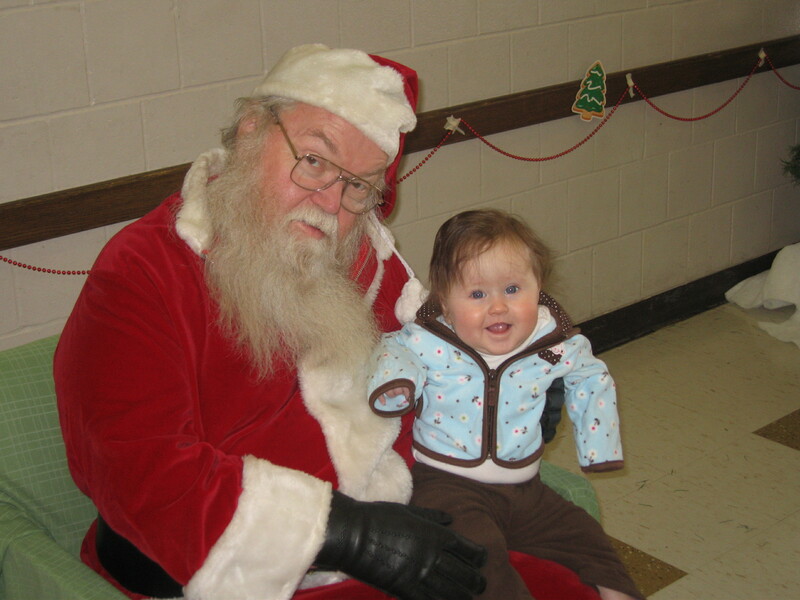 First was breakfast with Santa at the neighborhood park. 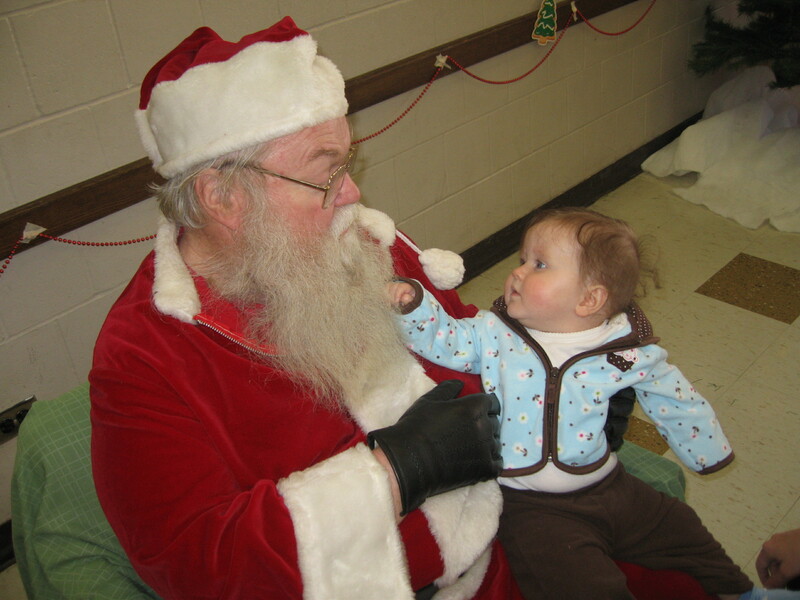 Evelyn was a little hesitant at first – she had never seen a beard up close – but then she was pretty thrilled about the whole thing. 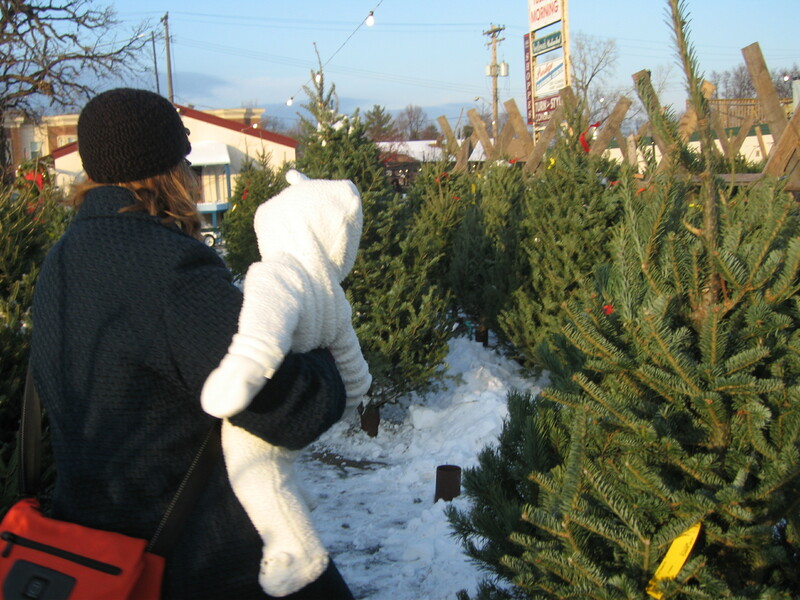 And after nap time, it was time to pick out a Christmas tree!